Looking for the best in Financial District RMT massage therapy? The stress of a busy life can sometimes feel like you’re carrying the weight of the world on your shoulders. We know that the feeling of emotional stress and it often stems from our minds. Unfortunately, our bodies tend to carry the weight of it. Do you notice that after a busy week, between work, family, and responsibilities? By the end of it, you feel a bit tenser in the shoulders and back? If this is you, we have the best Financial District RMT massage therapy program. Our primary focus is for the busy individual who works in the financial district. It is possible that our bodies are feeling the emotional impact of our minds. Sometimes soreness in our muscles is a result of the muscles being worked harder. This could be a sign of damage to the muscle fibers, which results in soreness or stiffness. Maybe you’re crushing through a busy week of work or vigorously training for an upcoming marathon? Never the less, you shouldn’t have to do with sore muscles. Sometimes, taking time to visit a Financial District RMT might be the difference. Between you slowing down or keeping up the pace. Our RMT Financial District massage therapists and Studio Athletica can offer treatment plans. The goal is to reduce soreness of the muscles, aches, and pains with massage therapy. 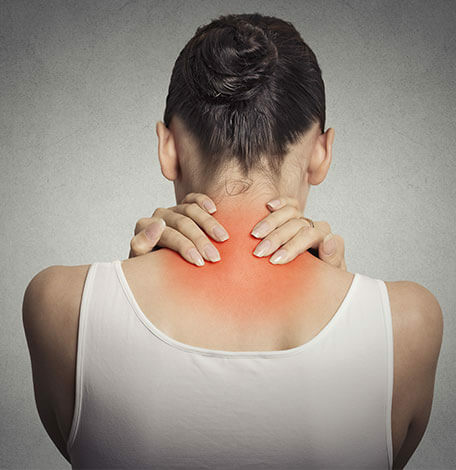 As you know, massage therapy is a hands-on approach to treat a wide range of pain related issues. To rehabilitate the use of the body to its fullest potential. Massage is an effective treatment for muscle tension, stress, and pain, which is why people enjoy massages because it also evokes feelings of comfort. Other times people feel relaxed, and connection with one’s self. When you are able to rid your body of the above, then you’re able to not only live more comfortably but also increase your productivity. This can then put the enjoyment back into your everyday activities. Why choose us as a Financial District RMT massage clinic? Our Financial District RMT massage program takes the time to understand a patient’s history. Prior to providing treatment, our RMT needs to understand what type of massages would most benefit the client. Massaging is a general term for pressing, rubbing, manipulating the skin, muscles, and ligaments and can range from motions of light stroking to applying deep pressure. Most noteworthy, our RMTs work alongside medical doctors and rehab specialists. Therefore, they have a better understanding of your pain when they need additional help. The great thing about manual therapy is that the pressure or intensity of the treatment can be adjusted to fit the patient perfectly and it can be determined by as much information as the patient can provide regarding their needs. Financial District deep tissue RMT – This technique uses slower strokes with more force in order to target the deeper layers of muscle and tissue. Most common for people recovering from muscle damage after injuries. Financial District sports RMT – A massage geared towards people involved in physical activity and sports and intended to help muscles retain their flexibility and prevent injury. Trigger point RMT– This massage focuses on areas of tight muscle fibers that can form in your muscles after injuries or overuse. Swedish RMT – A gentler approach of all massages involve long strokes, kneading and it is intended for just about anyone wanting to feel relaxed and recharged. Aromatherapy – A Spa approach to treatment. Good for people looking to de-stress. Cupping – Used by professionals in the Olympic, cupping is growing in popularity and offered at our Financial District RMT massage clinic. Our Financial District RMT massage can treat wide conditions. Please speak to a Financial District RMT massage therapy specialist at Studio Athletica. Tell us your concerns and find out how you can benefit from Massage Therapy. The most common inquiry is at our Financial District RMT Massage is deep tissue massage. We also offer hot stone, aromatherapy and cupping for those looking to change it up.